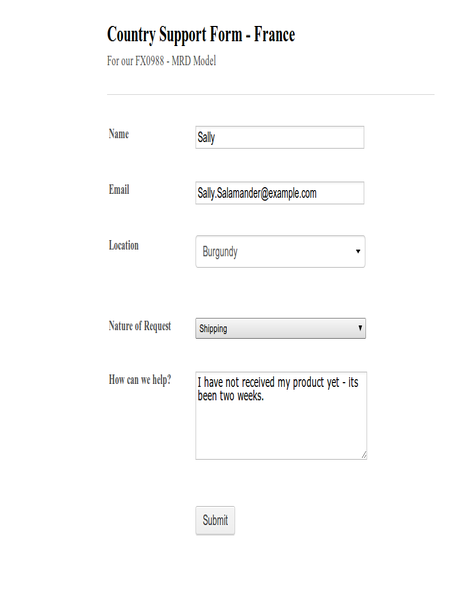 This widget adds an attractive edition to your form. 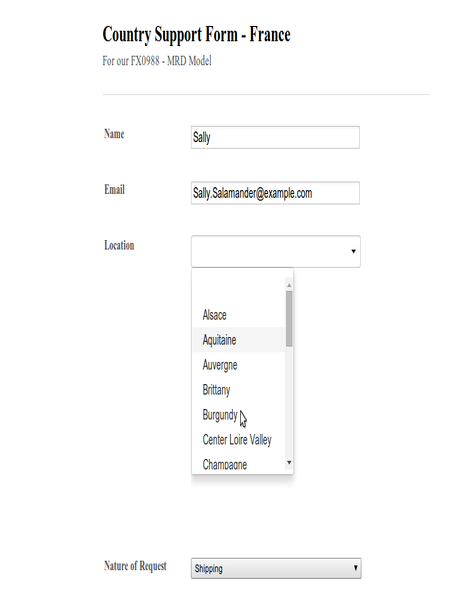 If your form reaches out to an audience in France, then this widget is essential in giving your users an easy time when selecting their location. 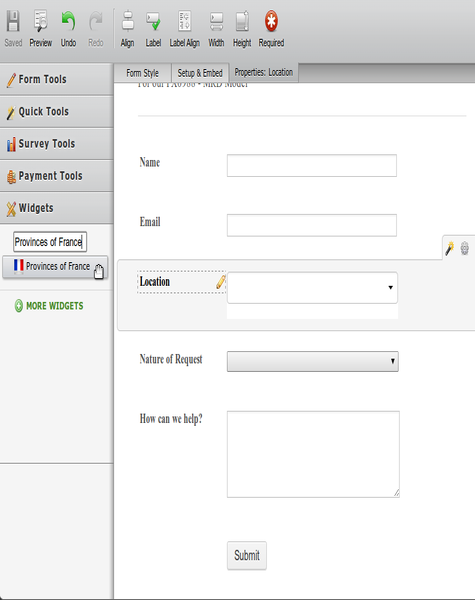 This widget contains a comprehensive list of all the provinces of France, and requires no additional configuration when adding it to your form.